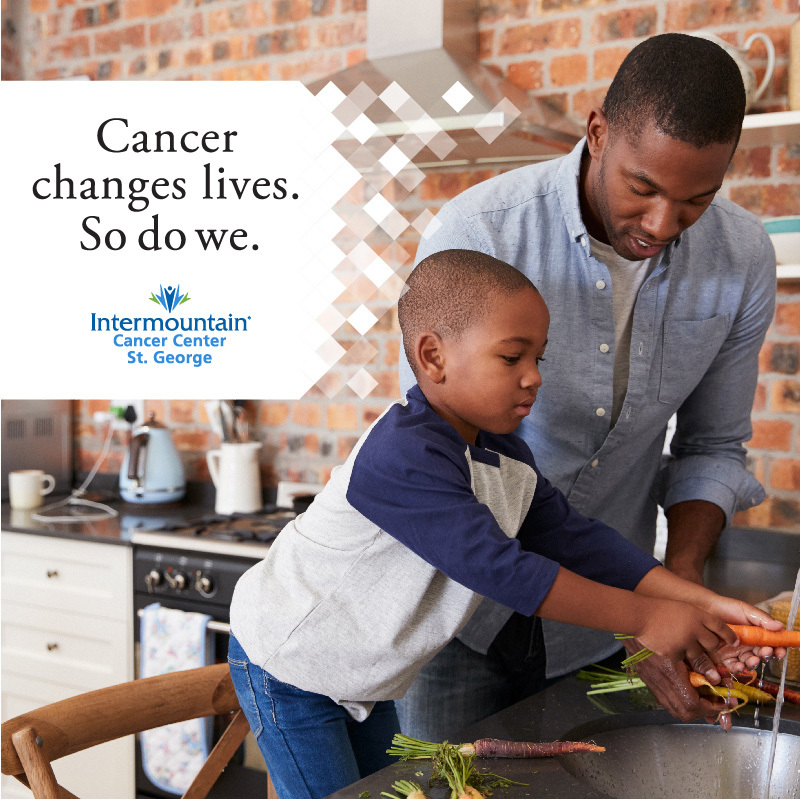 ST. GEORGE — Amid the spectacular scenery of St. George and the healing environment of the desert rises a brand-new Intermountain Cancer Center, providing a true home for oncology as well as the system headquarters for Intermountain Precision Genomics. The innovative new building will encompass oncology treatment, state-of-the-art radiation oncology, infusion center, imaging department, the Intermountain Precision Genomics clinical laboratory, Translational Science Center, the Stanford Genome Technology Center and more. When cancer patients walk through the doors to the new Intermountain Cancer Center of St. George in mid-October, they will be entering a world dedicated wholly to them. All of the research, access to clinical trials, technology and discoveries that go into patients’ treatment will be under one roof, making care as smooth and seamless as possible. Intermountain Healthcare’s commitment to helping patients live the healthiest lives possible shines through in this new project. Intermountain Healthcare is driving precision health and the application of precision oncology forward, and the new center will enhance such advancement. Precision medicine is the application of genomic, molecular and personal information to inform personalized health treatment plans. Precision health is the application of precision medicine principles (the use of genomic, molecular, personal health information) to entire populations. Precision medicine is reactive, precision health is preventative. Intermountain Precision Genomics and Intermountain Precision Health use genomic, molecular, inherited and personal health information to implement comprehensive wellness strategies to help individuals and populations live the healthiest lives possible. Tours and an open house of the first floor of the new cancer center were part of the “Growing Together” grand opening celebration. The combined celebration for the entire expansion project took place in September, featuring a fireworks display and concert from the local favorites, the Piano Guys. Intermountain Cancer Center of St. George anticipates opening its doors to provide patient care beginning mid-October. Intermountain Precision Genomics is a service of Intermountain Healthcare. For more information, go to the Intermountain Precision Genomics website, join the dialog on Facebook (Intermountain Cancer Centers) or follow @intermtncancer on Twitter.